Year 3 in primary school was a good time in my life. I know what you’re thinking… why so long ago? And why year 3? I was 7 years old and I was a little vivacious girl that used to run around the playground having fun. I remember being talkative and confident in class. I remember being the leader of my group of friends and being quite popular amongst the teachers and children. I had always been mature for my age. I would regularly hold conversations with older people. My mum always said people were either shocked or impressed at my level of maturity at such a young age. I think, being an only child and spending so much time with my nanny contributed to this. But it’s safe to say, I wasn’t like other children. Other than the school playground I didn’t do much running around and playing. I liked reading and listening to classical music (nerdy I know lol). 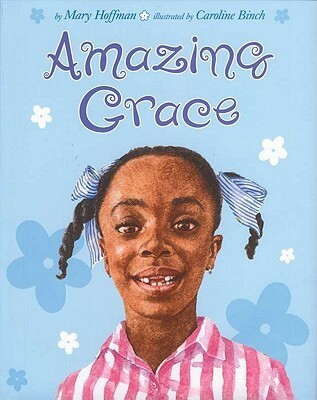 I think my proudest achievement in primary school was being chosen to play the lead role in the “Amazing Grace” story written by Mary Hoffman. [In hindsight I can now see I was probably chosen because I looked similar to the main character as I was the only black girl in the class hmm] But nonetheless I performed my piece in front of the whole school including teachers and parents. I had all the confidence in the world! I enjoyed every moment of it. I can still remember the moment I did my solo piece with such grace and control. I had no fear. However, all that seemed to change at the end of year 3. My family and I had recently moved house and I no longer lived close to my school. My parents made the decision to move me to a school closer to our new home which was both convenient and a better choice in terms of education. But I was distraught. I wanted to stay at my current school so I could progress to the same middle school as my friends. I didn’t want to start over, I wanted to stay. Despite my resistance my parents decided to change schools. I was abruptly taken out and thrown into a new school with unfamiliar faces. It wasn’t the easiest period of my life and that together with some family issues I gradually saw the confident Natalie slowly slip away. I retreated into my shell and I no longer had the confidence that I once had. The vivacious spirit was gone and I was in a new environment with new people and I hated it. It took me a while to adjust and when I did…I was never the same. The next 6 years…perhaps right up until my GCSE’s I forgot who Natalie really was. My school reports used to say the same thing “Natalie is a smart girl but she needs to contribute more in class” “Natalie is well behaved but she is quiet” “Natalie needs to take part in classroom discussions”. My grades reflected this. I went from getting top marks to getting average results [sometimes below average]. Obviously, seeing those teacher comments coupled with my grades made me accept that this was me from now on. I believed what the teachers were saying to be true. I began to accept that…I’m quiet, I’m shy and I’m not intelligent… and for a long time, that’s who I honestly thought I was. I thought I was shy and timid and that I would be that way for the rest of my life. I completely forgot that I used to be a confident child that loved the interaction of others. I simply let other people define who I was; letting their limiting words dictate my life. But it is only recently have I rediscovered my younger care free and sociable self. I can’t exactly pinpoint when this moment occurred but I can say that now in my mid-twenties I find myself with a renewed sense of confidence, I’m able to hold conversations with strangers, look people in the eye, speak publicly, organise my own events and so on. All of these would have seemed so impossible during my teenage years. But I’m finally living freely again. I’m not sure if I’ll ever go back into acting haha as those days were short lived! But I’m definitely willing to take up new challenges!